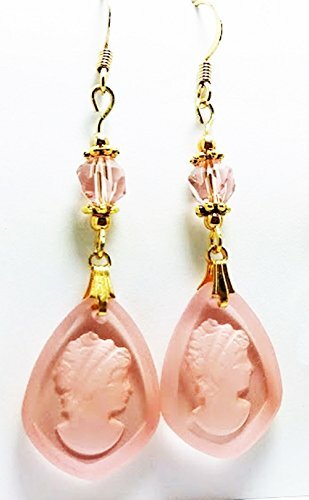 2 1/4 " total length, these drop earrings are on flat French style gold plated, nickel-free wires. 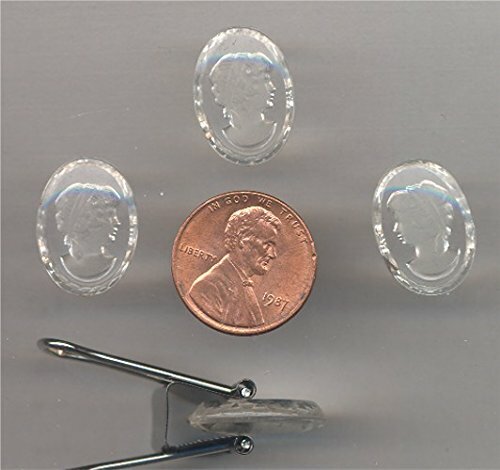 The main bead is a glass shield shape bead with a "reverse intaglio" cameo etched into it. This means that the design has been etched into the reverse of the bead and designed to show through the front (the back has a hollow where the etching is). The glass finish is frosted except on the flat front of the bead where it is gloss-transparent. The accent crystal is an oblique cut round crystal in Rose and accented on each side with a gold plated daisy spacer and a gold plated round bead at the tip. The photos show the earrings in a couple of views or types of lighting to show the true color. The first photo is usually a cool tone light (like outdoors) the second, warm toned (like incandescent indoor lighting) or the earrings from a different angle. 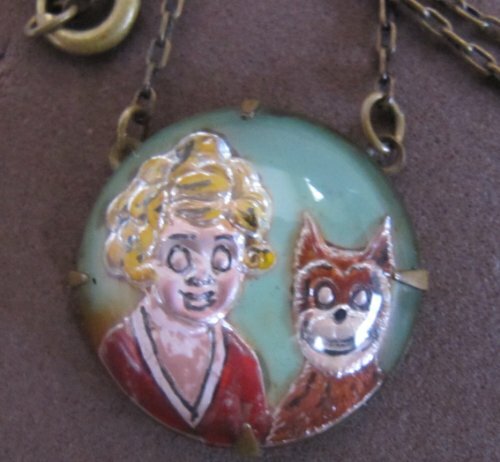 Little Orphan Annie & Sandy Intaglio Reverse Painted Glass Necklace produced Circa 1930's. RARE Orphan Annie Necklace has 15" "Split" Chain (Chain attached on 2 top parts of Back Plate of Pendant. 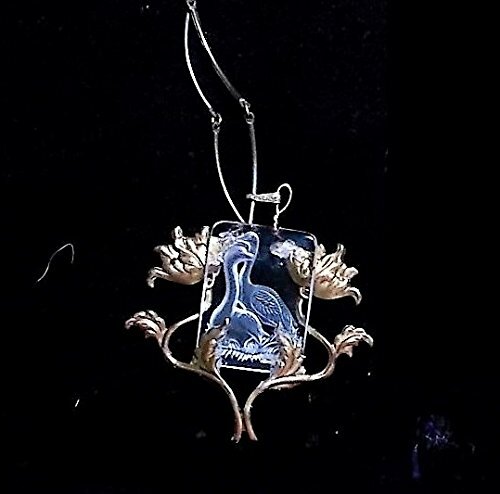 Reverse Painted Glass Pendant approx. 7/8" diameter x 1/4" deep w Orphan Annie & Sandy, & Pendant has detailed Brass Back Plate (detailed designs on Back Plate). I am NOT an Expert: All sizes, colors & details are provided to the best of my ability & may not be exact & may vary. Pendant in GREAT CONDITION for Age; 1 very tiny flea bite on edge & Chain & Back Plate shows mild age discolor. For Condition see CONDITION NOTE or Email Seller for Details. 60s Vintage 2 Swan Glass Intaglio Cameo, Lovely Reverse"Carved" Wetland Flower Copper Surround Setting & Curved Link Necklace. 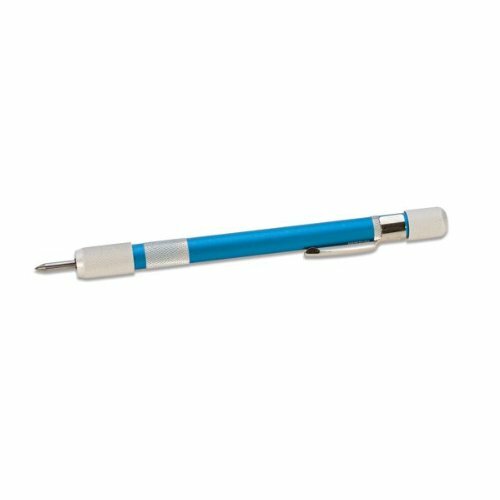 Our 5-1/2" premium scribe is 3/8" in diameter with removable carbide tips and includes one regular and one fine tip both 1-1/4". Tips reverse in chuck when not in use. Extra tip stores in handle. Made in USA.